A must-have for any Totoro and Ponyo fan! Studio Ghibli movies are like a warm blanket on a cold rainy night (well except maybe for Grave of the Fireflies). I still fondly remember when I first saw Ghibli movies such as My Neighbor Totoro or Kiki’s Delivery Service; watching them just made me feel all warm and fuzzy inside. If, like myself, you’re a fan of Ghibli’s works too, then here’s something that you can wear to show off your fandom! Introducing the special edition My Neighbor Totoro and Ponyo jackets! 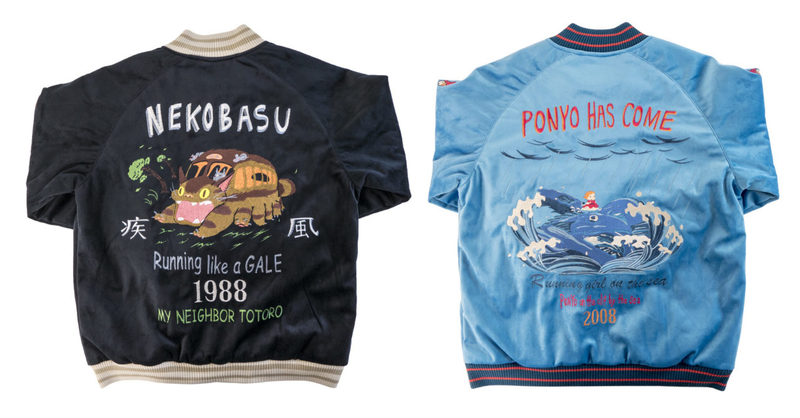 The two Ghibli-themed jackets are released in line with the thirtieth and tenth anniversary of My Neighbor Totoro and Ponyo respectively. 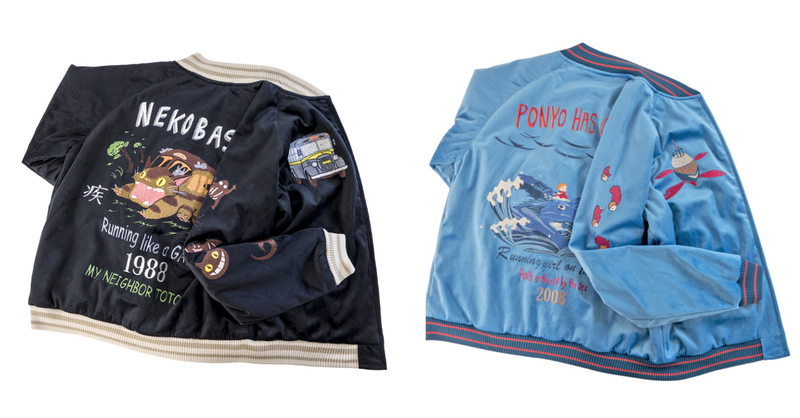 The jackets feature super-cute illustrations such as Totoro’s iconic Catbus and Ponyo’s titular character. The Ponyo jacket comes in a light blue color, and features a detailed image of Ponyo herself among sea creatures, along with the words “Ponyo has Come.” The jacket’s front also has cute designs of Ponyo in her fish form. As for the black Totoro jacket, it features the Catbus labeled “Nekobasu.” The movie’s release date is also printed in the back. At the front meanwhile is an actual bus (that Satsuki and Mei were waiting for) along with various other creatures from the movie. 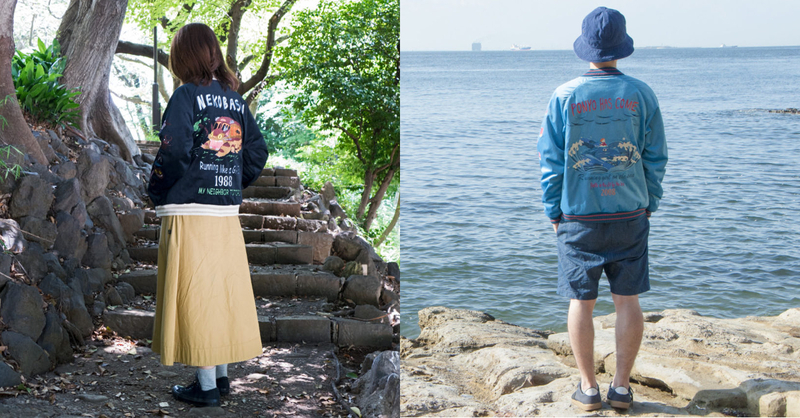 The special edition Studio Ghibli jackets will drop tomorrow for 29,800 yen (around 270 USD) each. The jackets will be available online at the GBL Tokyo online store.